Bhopal: In One year 7 lakh 50 thousand youths will be made skilled. This will include one lakh security guards and 50 thousand domestic workers. 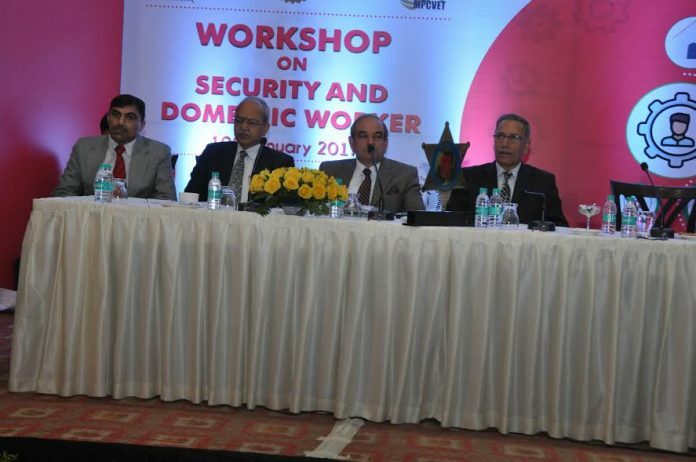 Minister of State for Technical Education and Skill Development (Independent Charge), School and Labour Shri Deepak Joshi said this in the workshop on ‘Security and Domestic Workers’. 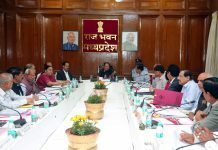 Shri Joshi said that whatever suggestions received during the workshop will be included in the Skill Development Policy. He mentioned that prepare such a team of security guards and domestic workers which should be identified differently in the country. He told the subject experts to raise flaws if any in the policy of the state government without hesitation. One of the major attractions of the event was the launch of the STAR Badge by Hon’ble Minister of State (Independent Charge) Department of Technical Education & Skill Development Government of Madhya Pradesh Shri Deepak Joshi. Speaking on the occasion, the Hon’ble Minister Shri Deepak Joshi stated that STAR Badge is a unique concept, which provides recognition to the Security person wearing the Badge, thereby enhancing his status amongst his peers. This in turn will motivate him to perform even better in the coming days. He complimented MPCVET for such wonderful workshop. Shri. G.N. Agrawal, Additional Director, MPCVET said” The workshop aimed to promote Skill Training in the two sectors in Madhya Pradesh. MPCVET designed the Flexi-MoU in such a way that it is suitable for all the partners according to their specific needs thus making this bold step worth mentioning. 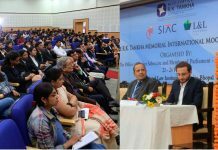 Gathering of National and State level Training providers, personnel from SSC, Assessment and Certification bodies, Chief executives of various organizations and other industry associate from across sectors seeking skilled manpower made the event really meaningful”. Shri D.K. Vyas, Additional Director, Directorate of Skill Development, MP said “Today’s workshop is extremely important for bringing best out of the young generation w.r.t. skill development. The exhibition of the latest gadgets and dissemination of best practices was the key attraction of the event”.Renowned experts from various filed were invited as the panelists. These include Shri Ashok Dohare, IPS, Special DG, SISF, Bhopal, Mr. Upendra Jain, IPS, Additional DG, Director Sports, MP, Col. Jawahar Singh, Commanding Officer, 3 EME Centre, Mr. Avneesh Sharma, GM, MPCON, Bhopal, Maj Gen Ashok Kumar Sakhuja (Retd), CEO, Security sector council, Maj. Gen. Manik Sabharwal (Retired), CEO Domestic workers council, Capt. V. P. Singh (Retd. 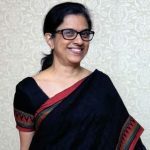 ), CEO, WWSO & President, CAPSI, MP, Ms. Meenakshi Jain, Helper4U, Domestic Placement Agency, Mumbai. Departmental officers Joint Directors Sunil Choudhary, D.S. Thakur, P.D.Gaur, K.C. Jain and Deputy Directors Sunil Desai and S.K. Nigam also graced the occasion. One of the highlights of the workshop was experience sharing by Mr. Devendra Rajput, who is a certified security Trainer. Ms. Sonia Sahele, a domestic worker trained by MPCON shared the experience to upgrade herself as a driver, while another domestic worker Smt. Seema Nimodia also shared thoughts. The event was aptly managed by MPCVET consultants; Mr. Alok Modi, Rahul Agrawal, Mr. Shakti Singh, Mr. Abhishek Tiwari, Ms. Vijeta Shrivastava, Ms. Aliva Das and Deep Yadav. NCC officer ITI Indore Shri Uday Chouhan anchored the event brilliantly.